Who is at Risk for Heart Failure ? Your body depends on the heart’s pumping action to deliver oxygen- and nutrient-rich blood to the body’s cells. When the cells are nourished properly, the body can function normally. Heart failure, sometimes known as congestive heart failure, occurs when your heart muscle doesn’t pump blood as well as it should and the heart can’t pump enough blood to meet the body’s needs 1). With heart failure, the weakened heart can’t supply the cells with enough blood. This results in fatigue and shortness of breath and some people have coughing. Everyday activities such as walking, climbing stairs or carrying groceries can become very difficult. This inability may also result in fluid retention, which causes swelling, for example, in the legs, feet, or abdomen. The term “heart failure” makes it sound like the heart is no longer working at all and there’s nothing that can be done, but that is not the case at all. Heart failure also doesn’t mean that your heart has stopped or is about to stop working. Congestive heart failure is a serious medical condition in which the heart cannot pump enough blood to meet the body’s needs. As blood flow out of the heart slows, blood returning to the heart through the veins backs up, causing congestion in the body’s tissues. 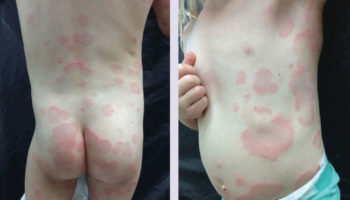 Often swelling (edema) results. Most often there’s swelling in the legs and ankles, but it can happen in other parts of the body, too 2). Sometimes fluid collects in the lungs and interferes with breathing, causing shortness of breath, especially when a person is lying down. This is called pulmonary edema and if left untreated can cause respiratory distress 3). Heart failure also affects the kidneys’ ability to dispose of sodium and water. This retained water also increases swelling in the body’s tissues (edema) 4). Congestive heart failure is often caused by hypertension, diabetes, or coronary heart disease, gradually leave your heart too weak or stiff to fill and pump efficiently. It is estimated that 5.8 million people in the United States have congestive heart failure 5) and at least 10 million in Europe 6). Congestive heart failure is one of the most common reasons those aged 65 and over are hospitalized 7). There were 1 million hospitalizations for congestive heart failure in 2000 and in 2010. About half of people who develop heart failure die within 5 years of diagnosis 8). Most congestive heart failure hospitalizations were for those aged 65 and over, but the proportion under age 65 increased significantly from 23% in 2000 to 29% in 2010. The overall rate of congestive heart failure hospitalization per 10,000 population did not change significantly from 2000 to 2010 (35.5 compared with 32.8), but the trends were different for those under and over age 65. From 2000 to 2010, the rate of congestive heart failure hospitalization for males under age 65 increased significantly while the rate for females aged 65 and over decreased significantly. In both 2000 and in 2010, a greater share of inpatients under age 65, compared with those aged 65 and over, were discharged to their homes. Left-side heart failure. This is when the heart can’t pump enough oxygen-rich blood to the body. Right-side heart failure. This is when the heart can’t fill with enough blood. Cor pulmonale. This term refers to right-side heart failure caused by high blood pressure in the pulmonary arteries and right ventricle (lower right heart chamber). In some cases of heart failure, the heart can’t fill with enough blood. In other cases, the heart can’t pump blood to the rest of the body with enough force. Some people have both problems. The normal healthy heart is a strong, muscular pump a little larger than a fist. It pumps blood continuously through the circulatory system. Watch an animation of blood flow through the heart. The right atria takes in oxygen-depleted blood from the rest of the body and sends it back out to the lungs through the right ventricle where the blood becomes oxygenated. Oxygen-rich blood travels from the lungs to the left atrium, then on to the left ventricle, which pumps it to the rest of the body. The heart pumps blood to the lungs and to all the body’s tissues by a sequence of highly organized contractions of the four chambers. For the heart to function properly, the four chambers must beat in an organized way. Heart failure can involve the heart’s left side, right side or both sides. However, it usually affects the left side first. The heart’s pumping action moves oxygen-rich blood as it travels from the lungs to the left atrium, then on to the left ventricle, which pumps it to the rest of the body. The left ventricle supplies most of the heart’s pumping power, so it’s larger than the other chambers and essential for normal function. In left-sided or left ventricular heart failure, the left side of the heart must work harder to pump the same amount of blood. There are two types of left-sided heart failure. Drug treatments are different for the two types. Heart failure with reduced ejection fraction, also called systolic failure: The left ventricle loses its ability to contract normally. The heart can’t pump with enough force to push enough blood into circulation. Heart failure with preserved ejection fraction, also called diastolic failure (or diastolic dysfunction): The left ventricle loses its ability to relax normally (because the muscle has become stiff). The heart can’t properly fill with blood during the resting period between each beat. The heart’s pumping action moves “used” blood that returns to the heart through the veins through the right atrium into the right ventricle. The right ventricle then pumps the blood back out of the heart into the lungs to be replenished with oxygen. Right-sided or right ventricular heart failure usually occurs as a result of left-sided failure. When the left ventricle fails, increased fluid pressure is, in effect, transferred back through the lungs, ultimately damaging the heart’s right side. When the right side loses pumping power, blood backs up in the body’s veins. 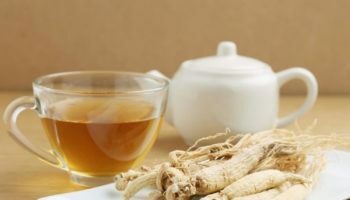 This usually causes swelling or congestion in the legs, ankles and swelling within the abdomen such as the gastrointestinal tract and liver (causing ascites). Congestive heart failure is a type of heart failure which requires seeking timely medical attention, although sometimes heart failure and congestive heart failure, the two terms are used interchangeably. As blood flow out of the heart slows, blood returning to the heart through the veins backs up, causing congestion in the body’s tissues. Often swelling (edema) results. Most often there’s swelling in the legs and ankles, but it can happen in other parts of the body, too. Sometimes fluid collects in the lungs and interferes with breathing, causing shortness of breath, especially when a person is lying down. This is called pulmonary edema and if left untreated can cause respiratory distress. Heart failure also affects the kidneys’ ability to dispose of sodium and water. This retained water also increases swelling in the body’s tissues (edema). Conditions that damage or overwork the heart muscle can cause heart failure 9). Over time, the heart weakens. It isn’t able to fill with and/or pump blood as well as it should. As the heart weakens, certain proteins and substances might be released into the blood. These substances have a toxic effect on the heart and blood flow, and they worsen heart failure. Coronary heart disease is a condition in which a waxy substance called plaque builds up inside the coronary arteries. These arteries supply oxygen-rich blood to your heart muscle. Plaque narrows the arteries and reduces blood flow to your heart muscle. The buildup of plaque also makes it more likely that blood clots will form in your arteries. Blood clots can partially or completely block blood flow. Coronary heart disease can lead to chest pain or discomfort called angina, a heart attack, and heart damage. Diabetes is a disease in which the body’s blood glucose (sugar) level is too high. 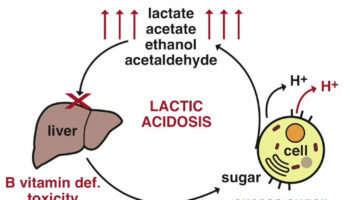 The body normally breaks down food into glucose and then carries it to cells throughout the body. The cells use a hormone called insulin to turn the glucose into energy. In diabetes, the body doesn’t make enough insulin or doesn’t use its insulin properly. Over time, high blood sugar levels can damage and weaken the heart muscle and the blood vessels around the heart, leading to heart failure. Blood pressure is the force of blood pushing against the walls of the arteries. If this pressure rises and stays high over time, it can weaken your heart and lead to plaque buildup. Blood pressure is considered high if it stays at or above 140/90 mmHg over time. (The mmHg is millimeters of mercury—the units used to measure blood pressure.) If you have diabetes or chronic kidney disease, high blood pressure is defined as 130/80 mmHg or higher. Arrhythmia. Happens when a problem occurs with the rate or rhythm of the heartbeat. Cardiomyopathy. Happens when the heart muscle becomes enlarged, thick, or rigid. Congenital heart defects. Problems with the heart’s structure are present at birth. Heart valve disease. Occurs if one or more of your heart valves doesn’t work properly, which can be present at birth or caused by infection, other heart conditions, and age. Treatments for cancer, such as radiation and chemotherapy. Some people’s symptoms and heart function will improve with proper treatment. However, heart failure can be life-threatening. People with heart failure may have severe symptoms, and some may require heart transplantation or support with a ventricular assist device. About 5.7 million people in the United States have heart failure 10). The number of people who have this condition is growing. People who are age 65 or older. Aging can weaken the heart muscle. Older people also may have had diseases for many years that led to heart failure. Heart failure is a leading cause of hospital stays among people on Medicare. Blacks are more likely to have heart failure than people of other races. They’re also more likely to have symptoms at a younger age, have more hospital visits due to heart failure, and die from heart failure. People who are overweight. Excess weight puts strain on the heart. Being overweight also increases your risk of heart disease and type 2 diabetes. These diseases can lead to heart failure. People who have had a heart attack. Damage to the heart muscle from a heart attack and can weaken the heart muscle. Children who have congenital heart defects also can develop heart failure. These defects occur if the heart, heart valves, or blood vessels near the heart don’t form correctly while a baby is in the womb. Congenital heart defects can make the heart work harder. This weakens the heart muscle, which can lead to heart failure. Children don’t have the same symptoms of heart failure or get the same treatments as adults. Your doctor may take a sample of your blood to check your kidney, liver and thyroid function and to look for indicators of other diseases that affect the heart. A BNP blood test to check for a chemical called N-terminal pro-B-type natriuretic peptide (NT-proBNP) may help in diagnosing heart failure if the diagnosis isn’t certain when used in addition to other tests. Chest X-ray images help your doctor see the condition of your lungs and heart. In heart failure, your heart may appear enlarged and fluid buildup may be visible in your lungs. Your doctor can also use an X-ray to diagnose conditions other than heart failure that may explain your signs and symptoms. This test records the electrical activity of your heart through electrodes attached to your skin. Impulses are recorded as waves and displayed on a monitor or printed on paper. An important test for diagnosing heart failure is the echocardiogram. An echocardiogram helps distinguish systolic heart failure from diastolic heart failure in which the heart is stiff and can’t fill properly. A Doppler ultrasound uses sound waves to measure the speed and direction of blood flow. This test often is done with echo to give a more complete picture of blood flow to the heart and lungs. Doctors often use Doppler ultrasound to help diagnose right-side heart failure. A Holter monitor records your heart’s electrical activity for a full 24- or 48-hour period, while you go about your normal daily routine. You wear small patches called electrodes on your chest. Wires connect the patches to a small, portable recorder. The recorder can be clipped to a belt, kept in a pocket, or hung around your neck. A nuclear heart scan shows how well blood is flowing through your heart and how much blood is reaching your heart muscle. During a nuclear heart scan, a safe, radioactive substance called a tracer is injected into your bloodstream through a vein. The tracer travels to your heart and releases energy. Special cameras outside of your body detect the energy and use it to create pictures of your heart. A nuclear heart scan can show where the heart muscle is healthy and where it’s damaged. A positron emission tomography (PET) scan is a type of nuclear heart scan. It shows the level of chemical activity in areas of your heart. This test can help your doctor see whether enough blood is flowing to these areas. A PET scan can show blood flow problems that other tests might not detect. Stress tests measure how your heart and blood vessels respond to exertion. You may walk on a treadmill or pedal a stationary bike while attached to an ECG machine. Or you may receive a drug intravenously that stimulates your heart similar to exercise. Sometimes the stress test can be done while wearing a mask that measures the ability of your heart and lungs to take in oxygen and breathe out carbon dioxide. If your doctor also wants to see images of your heart while you’re exercising, he or she may order a nuclear stress test or a stress echocardiogram. It’s similar to an exercise stress test, but it also uses imaging techniques to visualize your heart during the test. These tests can be used to diagnose heart problems, including causes of heart failure. During cardiac catheterization, a long, thin, flexible tube called a catheter is put into a blood vessel in your arm, groin (upper thigh), or neck and threaded to your heart. This allows your doctor to look inside your coronary (heart) arteries. During this procedure, your doctor can check the pressure and blood flow in your heart chambers, collect blood samples, and use x rays to look at your coronary arteries. In this test, a thin, flexible tube (catheter) is inserted into a blood vessel at your groin or in your arm and guided through the aorta into your coronary arteries. In this test, your doctor inserts a small, flexible biopsy cord into a vein in your neck or groin, and small pieces of the heart muscle are taken. This test may be performed to diagnose certain types of heart muscle diseases that cause heart failure. Results of these tests help doctors determine the cause of your signs and symptoms and develop a program to treat your heart. If you smoke, ask your doctor to recommend a program to help you quit. You can’t be considered for a heart transplant if you continue to smoke. Avoid secondhand smoke, too. Discuss weight monitoring with your doctor. Discuss with your doctor how often you should weigh yourself. Ask your doctor how much weight gain you should notify him or her about. Weight gain may mean that you’re retaining fluids and need a change in your treatment plan. Limit alcohol and fluids. Your doctor likely will recommend that you don’t drink alcohol if you have heart failure, since it can interact with your medication, weaken your heart muscle and increase your risk of abnormal heart rhythms. Be active. Moderate aerobic activity helps keep the rest of your body healthy and conditioned, reducing the demands on your heart muscle. Before you start exercising though, talk to your doctor about an exercise program that’s right for you. Your doctor may suggest a walking program. Angiotensin II receptor blockers. These drugs, which include losartan (Cozaar) and valsartan (Diovan), have many of the same benefits as ACE inhibitors. They may be an alternative for people who can’t tolerate ACE inhibitors. Because diuretics make your body lose potassium and magnesium, your doctor also may prescribe supplements of these minerals. If you’re taking a diuretic, your doctor will likely monitor levels of potassium and magnesium in your blood through regular blood tests. Heart valve repair or replacement. If a faulty heart valve causes your heart failure, your doctor may recommend repairing or replacing the valve. The surgeon can modify the original valve (valvuloplasty) to eliminate backward blood flow. Surgeons can also repair the valve by reconnecting valve leaflets or by removing excess valve tissue so that the leaflets can close tightly. Sometimes repairing the valve includes tightening or replacing the ring around the valve (annuloplasty). Implantable cardioverter-defibrillators. An implantable cardioverter-defibrillator is a device similar to a pacemaker. It’s implanted under the skin in your chest with wires leading through your veins and into your heart. The implantable cardioverter-defibrillator monitors the heart rhythm. If the heart starts beating at a dangerous rhythm, or if your heart stops, the implantable cardioverter-defibrillator tries to pace your heart or shock it back into normal rhythm. An implantable cardioverter-defibrillator can also function as a pacemaker and speed your heart up if it is going too slow. Cardiac resynchronization therapy or biventricular pacing. A biventricular pacemaker sends timed electrical impulses to both of the heart’s lower chambers (the left and right ventricles) so that they pump in a more efficient, coordinated manner. Many people with heart failure have problems with their heart’s electrical system that cause their already-weak heart muscle to beat in an uncoordinated fashion. This inefficient muscle contraction may cause heart failure to worsen. Often a biventricular pacemaker is combined with an implantable cardioverter-defibrillator for people with heart failure. Heart pumps. These mechanical devices, such as ventricular assist devices, are implanted into the abdomen or chest and attached to a weakened heart to help it pump blood to the rest of your body. Ventricular assist devices are most often used in the heart’s left ventricle, but they can also be used in the right ventricle or in both ventricles. Doctors first used heart pumps to help keep heart transplant candidates alive while they waited for a donor heart. Ventricular assist devices are now sometimes used as an alternative to transplantation. Implanted heart pumps can significantly extend and improve the lives of some people with severe heart failure who aren’t eligible for or able to undergo heart transplantation or are waiting for a new heart. Major complications associated with left ventricular assist devices include bleeding, infection, and device malfunction. Temporary right ventricular failure immediately following an left ventricular assist device placement can occur in 30% of patients requiring inotropes or right ventricular assist device 13). Heart transplant. Some people have such severe heart failure that surgery or medications don’t help. They may need to have their diseased heart replaced with a healthy donor heart. Usually, patients <50 years of age who are brain dead are potential cardiac donors. Contraindications for heart donation include significant heart dysfunction, congenital heart disease, malignancies (except basal cell and squamous cell carcinomas of skin, primary tumors of the central nervous system with low metastatic potential), or transmissible diseases 15). Heart transplantation is the treatment of choice for patients with heart failure refractory to medical therapy. Data from the 2008 report from the registry of the International Society for Heart and Lung Transplant showed that patient survival at 1 and 3 years for patients who received cardiac transplantation was approximately 85% and 79%, respectively 16). Recent advances in medical and device therapies have also improved the survival of heart failure patients comparable to that for post-heart transplant 17). More patients need heart transplantation than there are donor hearts available. Heart transplantation is limited to patients who are most likely to benefit with a significant improvement in symptoms and life expectancy. Early clinical studies in patients with heart failure have shown the feasibility of transfer of distinct stem and progenitor cell populations to the heart, and have demonstrated beneficial effects on cardiac function and/or tissue viability 18). However, due to small study sizes, lack of randomised control groups, poor understanding of the mechanisms of action of transplanted cells, lack of information on procedural issues (that is, optimal cell type, cell dosage, timing of cell transfer, optimal route of application), and safety concerns with some progenitors (such as the arrhythmogenicity associated with skeletal myoblast grafts), further basic research and the initiation of large, double‐blind, placebo‐controlled, randomised clinical trials with hard end‐points (including mortality) are warranted before the role of cell‐based therapy of heart failure can be judged. Even with the number of treatments available for heart failure, it’s possible that your heart failure may worsen to the point where medications are no longer working and a heart transplant or device isn’t an option. If this occurs, you may need to enter hospice care. Hospice care provides a special course of treatment to terminally ill people. If you have an implantable cardioverter-defibrillator, one important consideration to discuss with your family and doctors is turning off the defibrillator so that it can’t deliver shocks to make your heart continue beating. Heart failure is a chronic, progressive condition in which the heart muscle is unable to pump enough blood through to meet the body’s needs for blood and oxygen 19). Basically, the heart can’t keep up with its workload. Enlarging. The heart stretches to contract more strongly and keep up with the demand to pump more blood. Over time this causes the heart to become enlarged. Developing more muscle mass. The increase in muscle mass occurs because the contracting cells of the heart get bigger. This lets the heart pump more strongly, at least initially. Pumping faster. This helps to increase the heart’s output. The blood vessels narrow to keep blood pressure up, trying to make up for the heart’s loss of power. The body diverts blood away from less important tissues and organs (like the kidneys), the heart and brain. These temporary measures mask the problem of heart failure, but they don’t solve it. 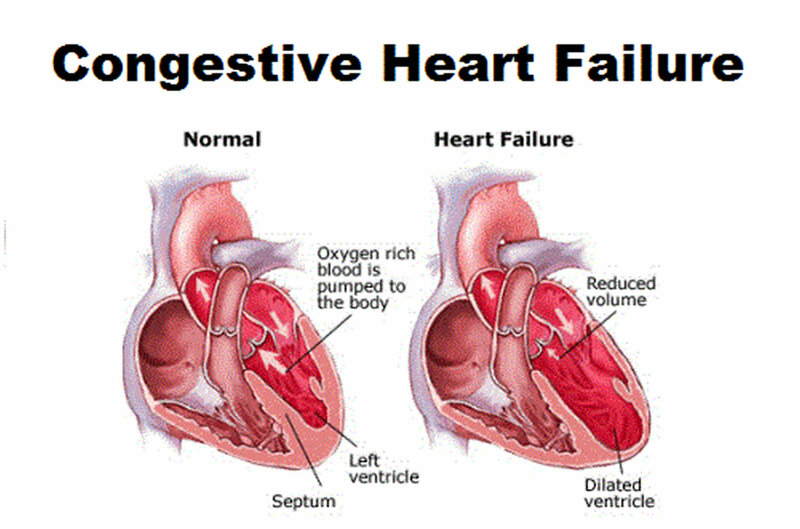 Heart failure continues and worsens until these substitute processes no longer work 22). Eventually the heart and body just can’t keep up, and the person experiences the fatigue, breathing problems or other symptoms that usually prompt a trip to the doctor. The body’s compensation mechanisms help explain why some people may not become aware of their condition until years after their heart begins its decline. It’s also a good reason to have a regular checkup with your doctor 23). Doctors usually classify or “stage” patients’ heart failure according to the severity of their symptoms 24). The table below describes the most commonly used classification system, the New York Heart Association Functional Classification 25). It places patients in one of four categories based on how much they are limited during physical activity. I No limitation of physical activity. Ordinary physical activity does not cause undue fatigue, palpitation, dyspnea (shortness of breath). II Slight limitation of physical activity. Comfortable at rest. Ordinary physical activity results in fatigue, palpitation, dyspnea (shortness of breath). IV Unable to carry on any physical activity without discomfort. Symptoms of heart failure at rest. If any physical activity is undertaken, discomfort increases. A No objective evidence of cardiovascular disease. No symptoms and no limitation in ordinary physical activity. B Objective evidence of minimal cardiovascular disease. Mild symptoms and slight limitation during ordinary activity. Comfortable at rest. C Objective evidence of moderately severe cardiovascular disease. Marked limitation in activity due to symptoms, even during less-than-ordinary activity. Comfortable only at rest. D Objective evidence of severe cardiovascular disease. Severe limitations. Experiences symptoms even while at rest. Note: American College of Cardiology/American Heart Association Guidelines of Heart Failure – the system includes a category for people who are at risk of developing heart failure. For example, a person who has several risk factors for heart failure but no signs or symptoms of heart failure is Stage A. A person who has heart disease but no signs or symptoms of heart failure is Stage B. Someone who has heart disease and is experiencing or has experienced signs or symptoms of heart failure is Stage C. A person with advanced heart failure requiring specialized treatments is Stage D.
Currently, heart failure is a serious condition and has no cure. But many people with heart failure lead a full, enjoyable life when the condition is managed with heart failure medications and healthy lifestyle changes. It’s also helpful to have the support of family and friends who understand your condition. Eighty percent of men and 70% of women <65 years of age diagnosed with heart failure will die within 8 years 28). Following an initial hospitalization for heart failure, there is a 50% readmission rate at 6 months and nearly 20% incidence of death within 12 months 29). Patients with end stage heart failure fall into stage D of the ABCD classification of the American College of Cardiology/American Heart Association and class III–IV of the New York Heart Association functional classification; they are characterised by advanced structural heart disease and pronounced symptoms of heart failure at rest or upon minimal physical exertion, despite maximal medical treatment according to current guidelines 30), 31). This patient population has a 1‐year mortality rate of approximately 50% and requires special therapeutic interventions 32). Treatments—such as medicines and lifestyle changes—can help people who have the condition live longer and more active lives. Researchers continue to study new ways to treat heart failure and its complications. Managing heart failure requires an open dialogue between you and your doctor. Be honest about whether you’re following recommendations concerning your diet, lifestyle and taking medications. Your doctor often can suggest strategies to help you get and stay on track. You and your doctor can work together to help make your life more comfortable. Pay attention to your body and how you feel, and tell your doctor when you’re feeling better or worse. This way, your doctor will know what treatment works best for you. Don’t be afraid to ask your doctor questions about living with heart failure. Keep track of the medications you take. Make a list and share it with any new doctors treating you. Carry the list with you all the time. Don’t stop taking any medications without talking to your doctor. If you experience side effects to medications, discuss them with your doctor. Keep track of your weight and bring the record to visits with your doctor. An increase in weight can be a sign you’re building up fluids. Your doctor may tell you to take extra diuretics if your weight has increased by a certain amount in a day. Know your doctor’s contact information. Keep your doctor’s phone number, the hospital’s phone number, and directions to the hospital or clinic on hand. You’ll want to have these available in case you have questions for your doctor or you need to go to the hospital. 8. ↵ Mozzafarian D, Benjamin EJ, Go AS, et al. on behalf of the American Heart Association Statistics Committee and Stroke Statistics Subcommittee. Heart disease and stroke statistics—2016 update: a report from the American Heart Association. Circulation. 2016;133:e38-e360. 25. ↵ Dolgin M, Association NYH, Fox AC, Gorlin R, Levin RI, New York Heart Association. Criteria Committee. Nomenclature and criteria for diagnosis of diseases of the heart and great vessels. 9th ed. Boston, MA: Lippincott Williams and Wilkins; March 1, 1994.